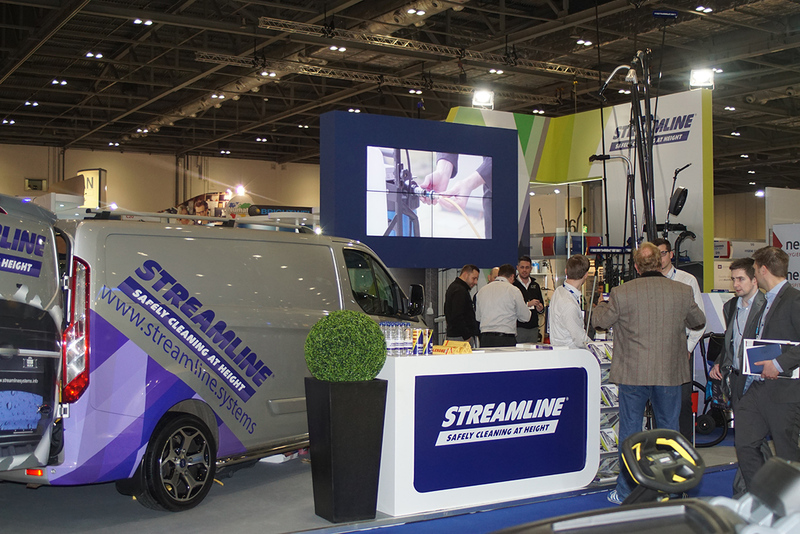 After trading for over 15 years, Streamline Systems are one of the most accomplished suppliers of professional High Reach window cleaning systems to customers throughout many countries. We stock an extensive range of high quality and reliable products, with a range of over 4000 line items, which will surpass your expectations for most high reach cleaning challenges. Our products include a range of water fed pole systems, for internal and external glass cleaning, high pressure and gutter cleaning solutions and much more. We are confident that we can provide you with a system from our range that will enhance your business and produce excellent results for your clients. When you choose Streamline Systems, you can be assured that you will receive an honest, simple and reliable service, with our full commitment to supplying quality high reach cleaning systems for your needs. If you are unsure of what equipment you require, we have a knowledgeable and experienced sales and technical team, who are trained to recommend a system to you and troubleshoot any problems which may arise. So if you want to join the ‘new era’ of contract cleaners; contact us today or browse through our extensive range of high reach cleaning systems online. Our products range from brushes, batteries, telescopic poles and accessories, through to more advanced van-mounted systems for window cleaning, pressure washing and gutter vacuuming – a true one-stop shop for all your cleaning at height requirements.